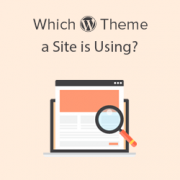 Have you ever wanted to find out which WordPress theme a website is using? Often we get emails from readers asking us for help in finding the exact theme that a certain website is using. In this article, we will show you how to easily find out which WordPress theme a specific website is using. When you are starting a new website, choosing the right theme is a very important decision. Often you have ideas and inspirations that you have seen on other websites. In some cases, you may want your website to have almost the same layout and features as another website that you saw on the internet. This could be possible specially if that website is using one of the thousands of free and paid WordPress themes available in the market. And thankfully, it’s quite easy to find out which WordPress theme a website is using. One of the easiest way to detect WordPress theme used by a website is with IsItWP. It is an online tool that allows you to look up plugins and themes used by a WordPress website. First, you need to visit IsItWP website and enter the URL of a website you want to check. IsItWP will first check if the website is using WordPress. If it is a WordPress powered website, then IsItWP will check which WordPress theme the website is using. It will also try to detect WordPress plugins used by the website. After that, it will show you the results with more details about the plugins and theme used by the website. IsItWP may not be able to offer you details about a custom WordPress theme or a child theme. However it will display the name of the theme, so you can google it to see if it’s available for download. Sometimes website owners change the WordPress theme name. This stop tools like IsItWP to detect which WordPress theme they are using. 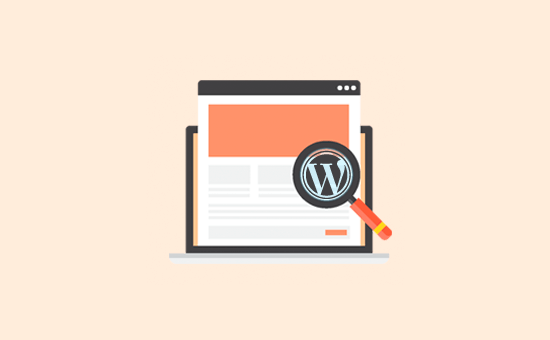 However, there still might be plenty of clues hidden in the code that you can detect and find the WordPress theme they are using. Each WordPress theme is required to have a style.css file. This file contains theme header which tells WordPress the name of the theme, theme author, URI, version, etc. It also contains CSS styles used by the theme. To locate this file, first you need to visit the website. 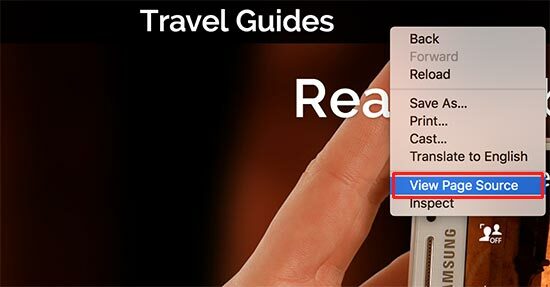 Right click anywhere on the screen and select ‘View Page Source’ from the menu. You can click on the URL in this line to open the style.css file. You may be able to find the Theme’s URL or Theme Author’s URL here which will lead you to the theme used by the website. Many WordPress websites use child themes to customize their websites. In that case, their theme header will contain information about the parent theme they are using. In the above example, this header block has an extra ‘Template’ parameter in the theme header block. This template is the parent theme used by this website. You can also find out the parent theme by looking at the website’s source code. There you will find another style.css file loaded from another theme. This other style.css file is the parent theme’s stylesheet and clicking on it will tell you which parent theme a site is using. That’s all for now, we hope this article helped you learn how to find which WordPress theme a site is using. You may also want to see our ultimate list of the most wanted WordPress tips, tricks, and hacks. For a starting point at WordPress development you would want knowledge of HTML, CSS, and PHP then you could take a look at the WordPress codex and their developer resources for helping you set up themes and plugins for WordPress. I have a doubt about the name of the author of a wordpress theme that appears. We must always believe the property of the theme. or to be wary of it? just an usurpation of an existing modified theme? Make sure you download and install the theme from a reliable source. Like WordPress.org or one of the reputable commercial WordPress theme shops. – Is it enough to modify the information in style.css to become the author of the theme? it would be too easy? Which Theme You’re using right now ??? please help me!!!!!!!!!!!!! We are using a custom made theme. What if the website are not using WordPress what then??? IsItWP will let you know if a site is not using WordPress.